Cultural and historical trauma appears and is influenced in your work more than you think, especially if you work with people of color, war survivors, refugees and their descendants. Additionally, if your clients differ from you in the areas of race, culture, religion, sexuality, class or gender, your own biases are likely to come out in session. Watch Anita Mandley as she brings these issues out of the shadows and into consciousness, and opens a new path toward addressing the hidden grief of cultural and historical wounds. 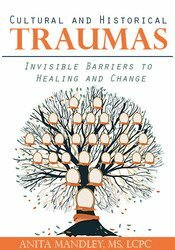 Not only will she show you how to help your client’s historical trauma, but she will help you become a culturally more mindful and competent therapist to effectively help your clients heal their trauma. Explore the clinical implications of clients with historical trauma to inform the clinician’s choice of treatment interventions. Articulate clinical interventions that acknowledge and process grief and loss connected to the client’s historical trauma. Anita Mandley, MS, LCPC, practices at the Center for Contextual Change, where she focuses on clients who’ve experienced trauma. She’s the creator of Integrative Trauma Recovery, a group therapy process for adults with complex PTSD. This self-study activity qualifies for 2.0 hours of cultural competency instruction. If cultural competency is not specified within your licensing board's approval statement below, please contact your board to determine the applicability and amount of cultural competency allowed.